Each year we indulge in the lovely part of the Passover meal where an adult hides the afikomen, the broken middle matzah (which represents the lamb killed at Passover) and the children have to hunt for it. When they return, they get a prize. To help the dynamics of the hunt, I’ve used colour spot stickers and given each child a different colour to search for, meaning we can leave the red spots for the two year clearly in view, and properly hide the ones for the teenagers. This year we have three girls are 6-8 and a teenage young man at our meal. My husband has bought a cool fire starter kit for the young man, so I’ve devised a treasure hunt for the girls. Previously I’ve bought them each a book, but this year I thought it would be good to a) use things I have in the house already to keep costs down b) give them things to stimulate their thinking about the links between Passover and Easter. 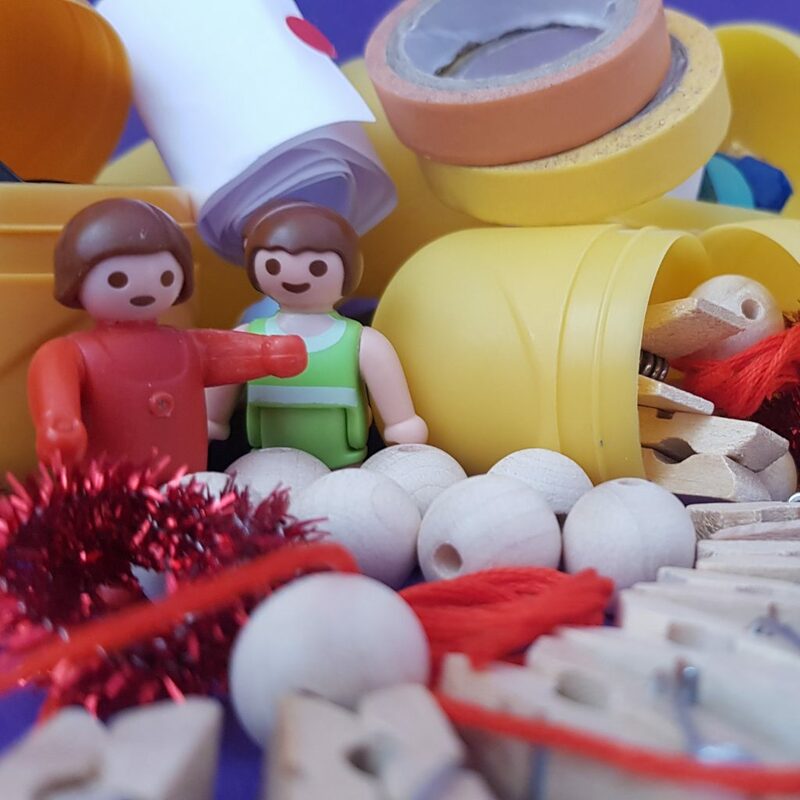 I wanted some of them to be little gifts they’ll want to keep, some to be a mini craft activity for them to do and others to be things which give them a chance to express their response to the stories they’re heard at the table (Exodus and Easter). Once I packed the little eggs, I put coloured stickers on them so that I could send the children to search together for 3 red sticker eggs and so on. By the way, if you’re planning to do this for more than 5 or 10 children, I’d recommend recruiting a packing team and doing it over cake and drinks! Click here to download a print version of this text. Where do you see darkness in both the Exodus and Easter stories? Can you blow up a balloon with your eyes shut? 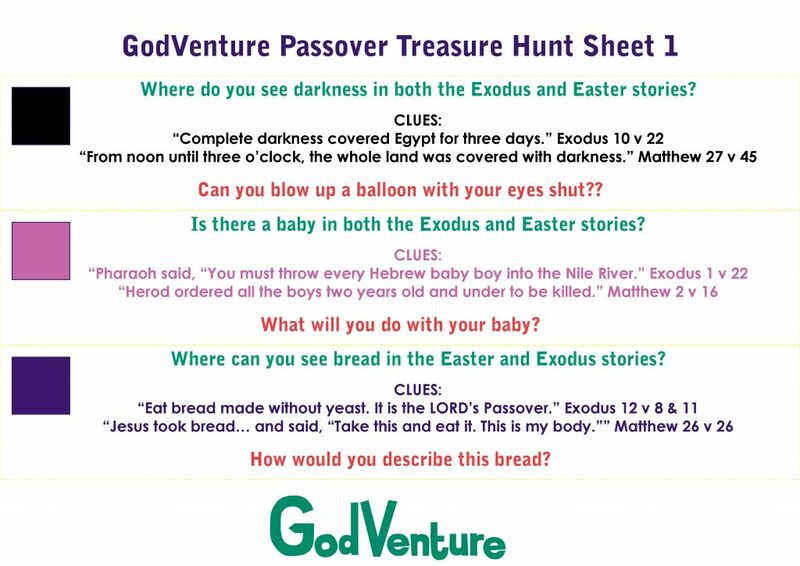 Is there a baby in both the Exodus and Easter stories? What will you do with your baby? Where can you see bread in the Easter and Exodus stories? How would you describe this bread? Where do you see blood on wood in the Exodus and Easter stories? What would you like to make to help you remember the story? You could make a cross or a bracelet or something else completely! How does each story end? Are there any links? What would you like to say to God about these stories? Is there something you could make to tell God this? Suppose I were to say, “I’m sure the darkness will hide me. The light around me will become as dark as night. Even that darkness would not be dark to you. The night would shine like the day, because darkness is like light to you. Psalm 139v11-12. 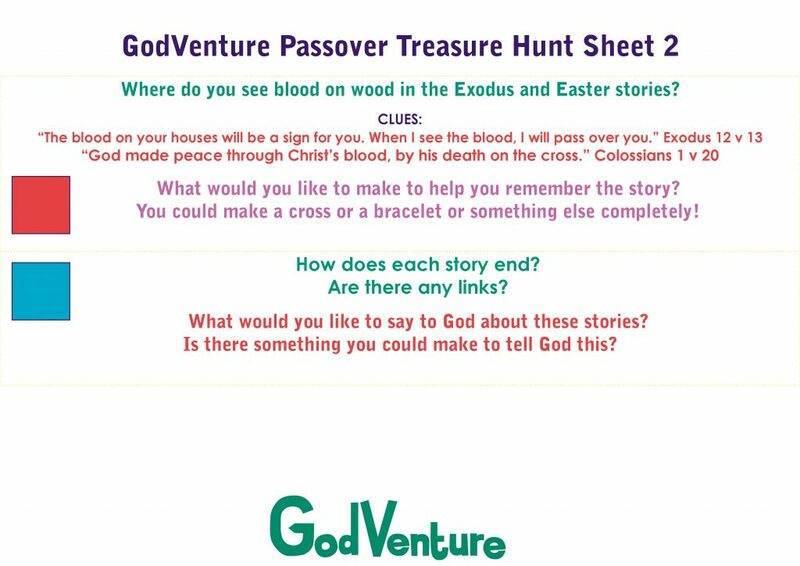 For more about Passover, you might like the GodVenture online Passover Workshop.